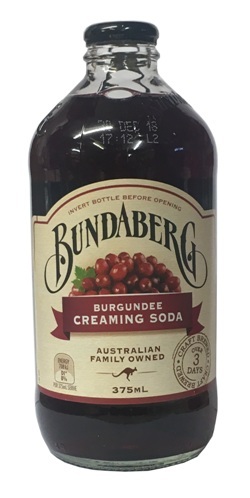 Carbonated Water, Cane Sugar, Red Grape Juice from concentrate (5%), Red Grape Brew (Water, Red Grape Juice From Concentrate, Cane Sugar, Yeast), Flavours, Acid (Citric Acid), Colours (E150d, E122, E102, E133), Preservatives (E211, E202). E122,E102: may have an adverse effect on activity and attention in children. Food Colour(s) E122, E102 may have an adverse effect on activity and attention in children.